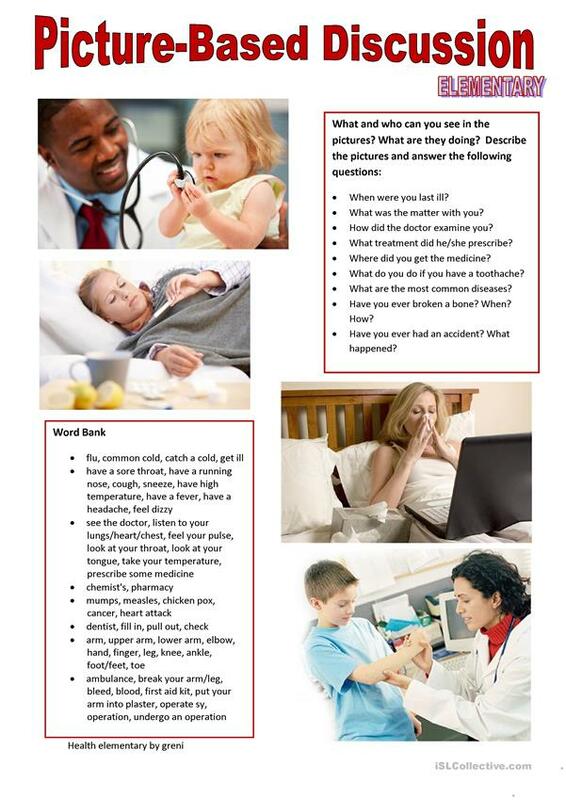 Describe the pictures and talk about health and illnesses using the questions and the word bank. It can be used on level A2 or B1. Pictures from google images. Thanks in advance for your kind comments. Hugs from Hungary! This downloadable printable was created for high school students and elementary school students at Pre-intermediate (A2) and Intermediate (B1) level. It is a valuable material for developing your pupils' Speaking skills. It focuses on the topic and words of Health, going to the doctor.